The 2016 amendments to the Toxic Substances Control Act (TSCA) require that the EPA charge fees to persons who either submit information the Agency must review or manufacture chemicals for which the Agency must conduct risk evaluations. The EPA has now published a final rule that establishes fees for certain activities under TSCA Sections 4, 5, and 6. As required by TSCA, the fees must defray approximately 25% of the costs to carry out activities the EPA conducts under these sections, as well as the cost of collecting, processing, reviewing, and providing access to and protecting from disclosure confidential business information (CBI) submitted by businesses. 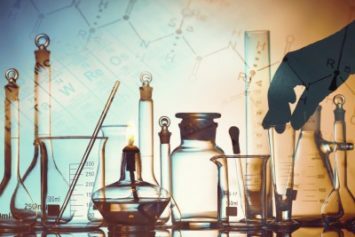 The Agency will collect payment from processors in limited scenarios—i.e., where a processor submits a significant new use notice (SNUN) under TSCA Section 5 or where a fee-triggering TSCA Section 4 activity is tied to a SNUN submission by a processor. The fees for persons who are not small businesses range from $4,700 for exemption requests under Section 5 to an initial fee of $2.5 million for manufacturer-requested risk evaluations of non-Work Plan chemicals. The EPA does not know precisely how much risk evaluations will cost but estimates the cost of a manufacturer-requested risk evaluation at approximately $3.88 million. Accordingly, the rule requires that the manufacturer may need to supplement its initial payment with a final payment; the two payments together must equal 100% of the full cost of the activity. For chemicals that are on the Work Plan, the manufacturer must make an initial payment of $1.25 million plus a final payment if needed; with or without the two payments, the manufacturer must cover 50% of the full cost of the risk evaluation. If the EPA determines that the initial payment for a manufacturer-requested risk evaluation exceeds the total actual cost of the activity, the rule states that the Agency will refund the difference. The total fee for an EPA-initiated risk evaluation is $1.35 million. As required by TSCA Section 26(b), the rule establishes lower fees for small businesses. These range from $940 for exemption requests under Section 5 to the same fees required of non-small businesses for a manufacturer-requested risk evaluation of a non-Work Plan chemical. The Agency provides a fees table at https://www.epa.gov/tsca-fees/tsca-administration-fees-structure#feestable. The EPA estimates the annualized fees to be collected from industry at $20 million, excluding fees collected for manufacturer-requested risk evaluations. The total annualized fee collection was calculated by multiplying the estimated number of fee-triggering events anticipated each year by the corresponding fees. The EPA estimates that Section 4 fees account for less than 1% of the total fee collection, Section 5 fees for approximately 43%, and Section 6 fees for approximately 56%. Total annual fee collection for manufacturer-requested risk evaluations is estimated at $1.3 million for chemicals included in the TSCA Work Plan (based on two requests over a 3-year period) and approximately $3.9 million for chemicals not included in the TSCA Work Plan (based on three requests over a 3-year period), says the EPA. The EPA’s prepublication version of its final rule setting fees for the administration of TSCA is at https://www.epa.gov/sites/production/files/2018-09/documents/2018-09-27_prepubcopy_tsca-fees-finalrule.pdf.